Congratulations! You know the drill – send us an email (contact AT the book smugglers DOT com) with your snail mail address, and we will get your book out to you as soon as possible. 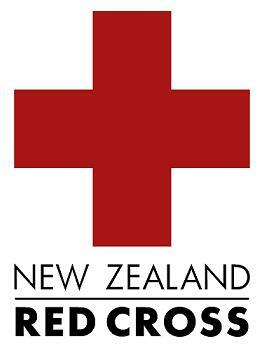 If you’ve been watching the news this past week, you’ll have heard of the devastating earthquake that rocked Christchurch, New Zealand, killing and injuring many people, and leaving countless others without homes or possessions. 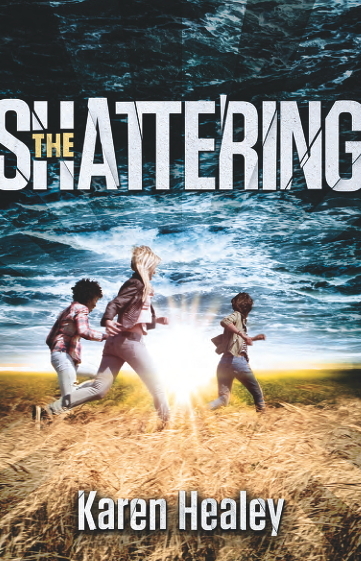 Karen Healey, author of Guardian of the Dead and one of the smartest, coolest ladies around, is from New Zealand and has a wonderful opportunity to win an autographed ARC of her new book, The Shattering, AND help out those in need in Christchurch, too. Karen will be giving away one signed, personalized copy of The Shattering to the person (or group) that donates the most to the Red Cross 2011 Earthquake Appeal, or any other appeal for Christchurch, and a signed personalized copy to a randomly selected person (or group) that has donated and left a comment on her blog. In order to enter, please go forth to Karen’s blog. We couldn’t be more pleased to see a number of our favorite reads of 2010 on both ballots. 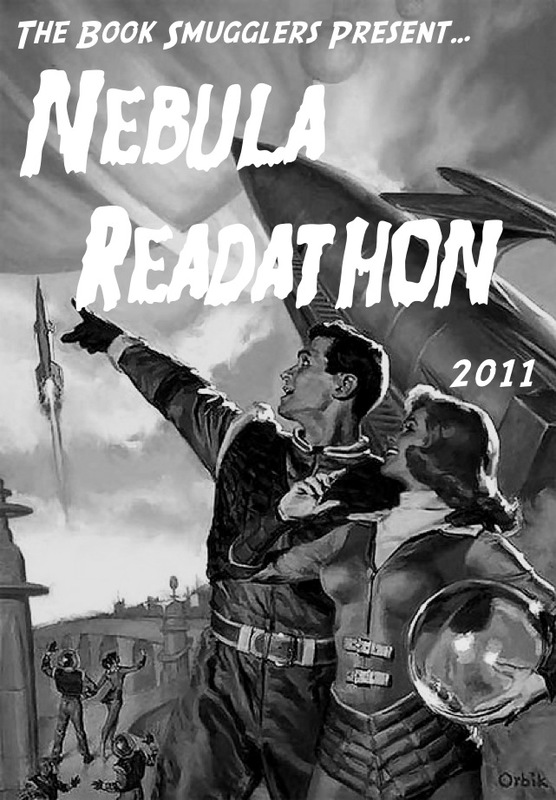 As inspired by a conversation on Twitter this week, we Smugglers have decided to take it upon ourselves to organize our first ever NEBULA READATHON! In an attempt to read all of the books in these two categories before the awards are announced on May 21, we will be posting our own mini-reviews of the nominees above, ultimately coming to a decision regarding which books in our opinion deserve the big award! 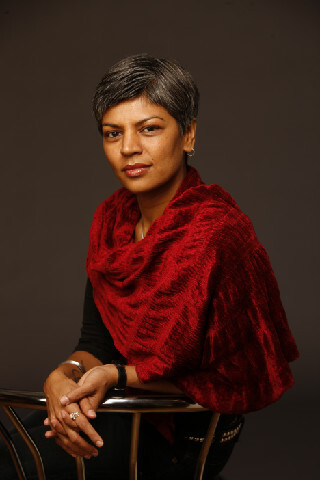 And, we Smugglers are inviting YOU to participate in the readathon effort. We’ll be reading the nominees along with the schedule below, and on each set date, we invite everyone to write their own reviews of the scheduled nominee(s). Because there are only twelve weeks and fifteen nominees to be read, we’ve decided on a bi-weekly schedule with a few titles assigned to each day. If you can’t read the proposed title by the set date, that’s ok! We’ll make sure to leave the link generator up and running so you can come by and add your post at any time. We hope you participate in the fun – we cannot wait to get started! 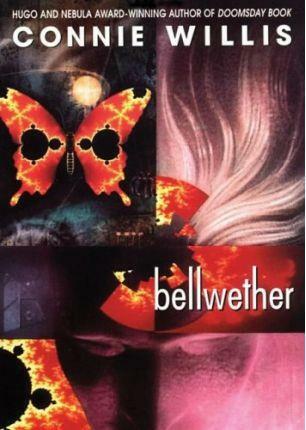 On Monday, Ana reviews another title from one of her new favorite authors Connie Willis with Bellwether. Tuesday, Thea goes crazy over the newest Mercy Thompson book! 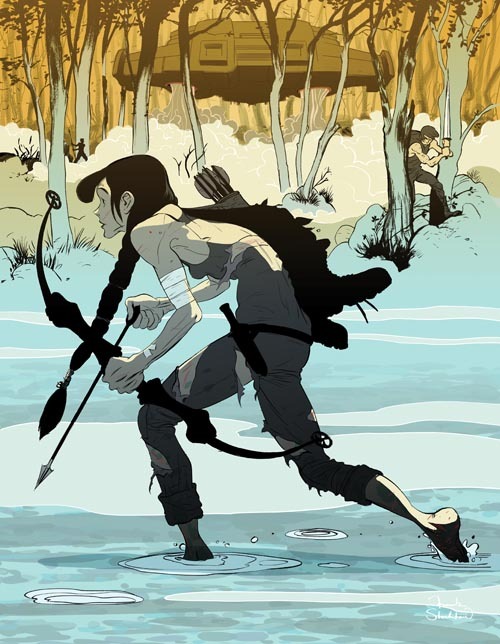 We’ll have a review of River Marked as well as a giveaway. 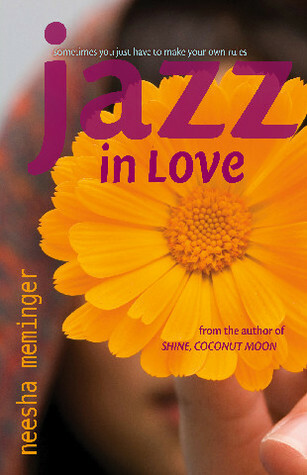 And on Thursday we have Neesha Meminger, author of Jazz In Love (which Ana LOVED) over for a guest post on her Inspirations & Influences. 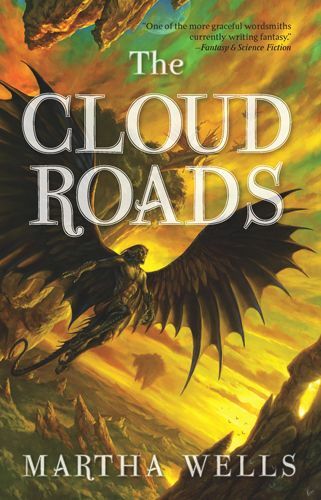 On Friday, we close out the week with a review of The Cloud Roads by Martha Wells. This year’s Nebula picks do look awesome and I was also thrilled to see so many women on the ballot. Love the idea of the readathon, although I’m not sure I’d be able to read them all this year (partially because a few of those books are later volumes in series I haven’t read). I did want to at least read a couple of them soon, though, so I want to at least try to read some! Oh, I have been failing dismally this year in keeping up with book clubs, and it’s only February (ok, practically March), but maybe I’ll TRY to read for the Nebula readathon since it has books I really want to read anyway (SHADES OF MILK AND HONEY, SHIP BREAKER, WHITE CAT), and I have already read ONE HUNDRED THOUSAND KINGDOMS and NATIVE STAR. Great idea! I’ve read 4 of the nominated books and the rest sound really interesting. 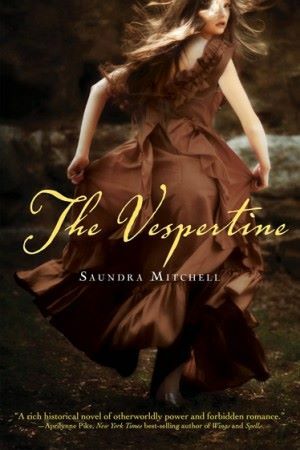 Yay I’m going to join the Nebula readathon when possible. I have four of the YA books and I’m going to try reading all the short stories nstead of the adult novels (as that doesn’t involve me buying more books). Looking forward to all your mini reviews. Yay Nebula Read-a-thon! I will have to shuffle mine around a bit, as I have to read The Hundred Thousand Kingdoms for a book club in early April, but I’ll do my best to fit the rest in. Looking forward to it! 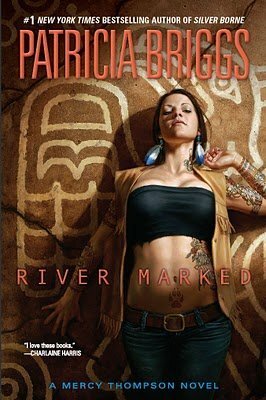 And can’t wait to read Thea’s review of River Marked – I adore Mercy Thompson and that’s a book I’ve been eagerly anticipating myself. Th link to Karen Healey’s blog seems odd – it sends me to my hotmail account. Th eNebula Readathon sounds soooo good! But unfortunately those are the weeks I’ll be studying for finals. Maybe I’ll have my own mini readathon afterwards. Oh. I have both White Cat and The Hundred Thousand Kingdoms on my TBR list, so this should hopefully inspire me! I just realized about your readathon, and I’ve always wanted to read The Native Star since first seeing it’s cover last year. I dunno if I can get it read by March 13 tho, and I don’t even have a copy yet lol. The pressure! JK, no pressure, I know, but would be fun to participate. I’m going to try to do at least a few of the Nebula Readathon books. Three of them are already on my To-Read list. I’ve read The Hundred Thousand Kingdoms (loved it)… but those other adult novels in the running look so interesting, too.